Today was knitting day at work (we meet at lunch), and we had quite a crowd show up after two weeks off over the holidays. Was neat to see what all people have been up to over that time. And would you believe, I was gifted with another fleece! Yep. I am becoming a wool magnet. What’s especially cool about this one is that it still has it’s 4H blue ribbon with it. 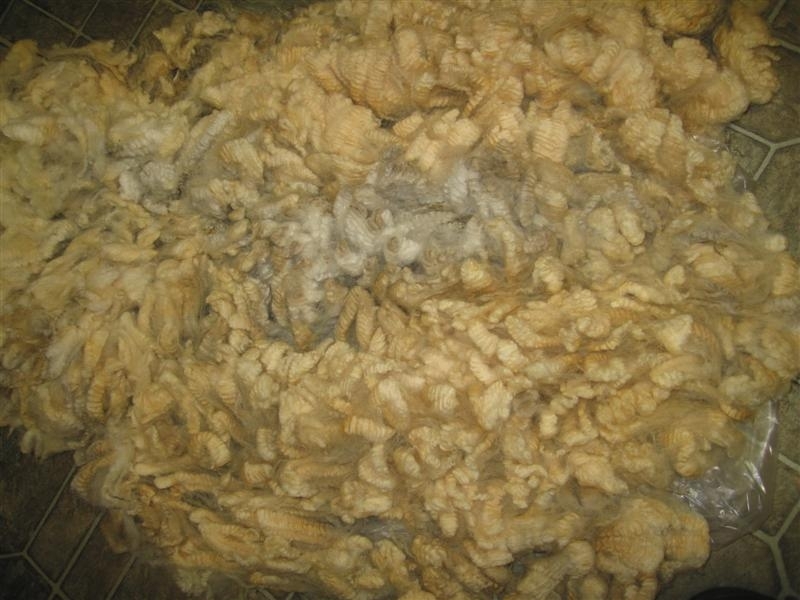 It’s a very nice bunch of wool- soft, crimpy, no veg, and pretty darn clean (compared to some things I’ve worked with). 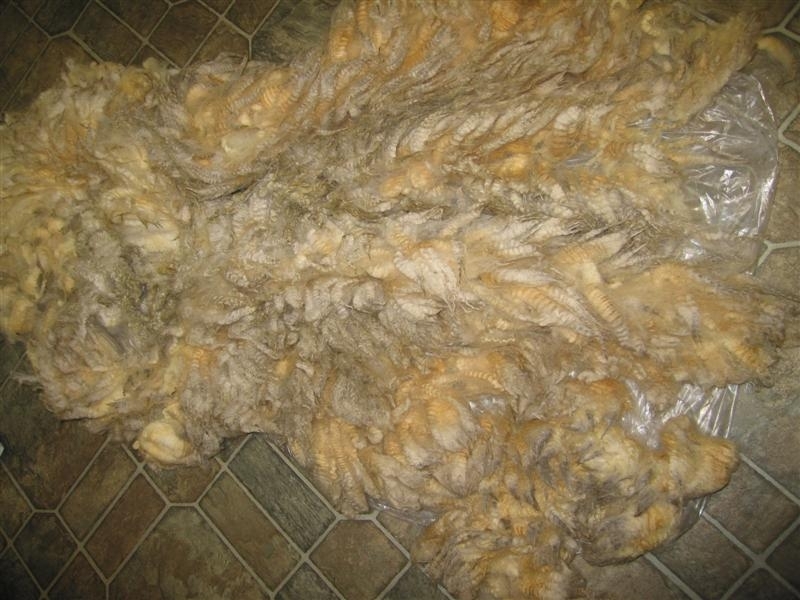 It’s been sitting in a basement for about a year or so now, so it’s got a bit of an orange-y cast from the lanolin, but I expect that it will wash right out. And so, without further ado, here ’tis- the underside, and the outside, respectively. Isn’t that a nice little fleece? I’ll be washing about half of it up tonight so I can pass some of it off to another spinning friend. Gotta spread good wool (good will?) around.